Shop online for 84 hasegawa 1/48 scale airplanes at discounts up to 29%. 1/40-1/49 Scale is the most popular of the 3 hasegawa 1/48 scale airplanes categories, then Model Helicopter, and 1/70-1/79 Scale. 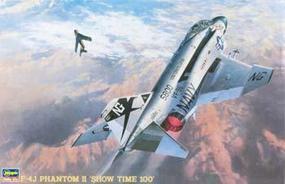 This is the 1/48 Scale F-4J Phantom II 'Show Time 100' Plastic Model Kit from Hasegawa. Assemble the Aichi D3A1 Type 99 Carrier Dive Bomber (VAL) Model 11 with this 1:48 Scale Plastic Model Kit from Hasegawa. Suitable for Ages 10 & Older. This is a 1/48 Scale A-4M Skyhawk (U.S.M.C. Attacker) Plastic Model Kit from Hasegawa. Assemble the AV-8B Harrier II Plus U.S.M.C. Attacker with this 1:48 Scale Plastic Model Kit from Hasegawa. Modeling Suitable for Ages 10 & Older. This is a 1/48 Scale Chance-Vought F4U-4 Corsair Plastic Model Kit from Hasegawa. This is a 1/48 Scale F-86F-30 USAF Sabre Plastic Model Kit from Hasegawa. 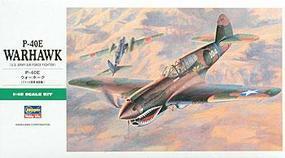 Assemble the Curtiss P-40E Warhawk with this 1:48 Scale Plastic Model Kit from Hasegawa. Suitable for Ages 10 & Older. This is a 1/48 Scale Nakajima B5N2 Type 97 Carrier Attack Bomber (Kate) Model 3 Plastic Model Kit from Hasegawa. This is a 1/48 Scale Kyushu J7WI Shinden Plastic Model Kit from Hasegawa. This is a 1/48 Scale F-104C Starfighter U.S.A.F. Plastic Model Kit from Hasegawa. This is a 1/48 Scale Hawker Typhoon Plastic Model Kit from Hasegawa. This is the 1/48 Scale SH3H Sea King Helicopter Plastic Model Kit from Hasegawa. This is the 1/48 Scale F-22 Raptor USAF Plastic Model Kit from Hasegawa. Assemble the AH-64D Apache Longbow Attack Helicopter with this 1:48 Scale Plastic Model Kit from Hasegawa. Suitable for Ages 10 & Older. This is a 1/48 Scale Junkers Ju87G-2 Stuka Plastic Model Kit from Hasegawa. This 1/48 Scale Plastic F4U-5N Corsair U.S. Navy/Marine Corps Night Fighter Aircraft is a Hasegawa Hobby Kit. Great for Modelers Age 12 and Older. This is a 1/48 Scale F-16CJ Fighting Falcon "Misawa Japan" Plastic Model Kit from Hasegawa. 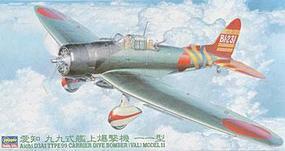 This is the 1/48 Scale SBD-3 Dauntless Plastic Model Kit from Hasegawa. This is the 1/48 Scale F6F-3 Hellcat 'USS Essex' Plastic Model Kit from Hasegawa. This is the 1/48 Scale Aichi B7A2 Attack Bomber Ryusei Kai (Grace) Plastic Model Kit from Hasegawa.